STEP 1: Measure the length & width of paw. Place a piece of paper on the floor and trace the outline of your dog’s paw. Hold your pen at a 90 degree angle to get the most accurate tracing. Use the tracing to measure the length and width of the paw. A. For paw length: Measure the distance from the tip of the longest nail to the very back of the paw pad. B. For paw width: Measure the distance between the widest two points from the right and left sides. Use a measuring tape or piece of string to measure the widest part of the paw. STEP 3: Measure the wrist circumference. 1. 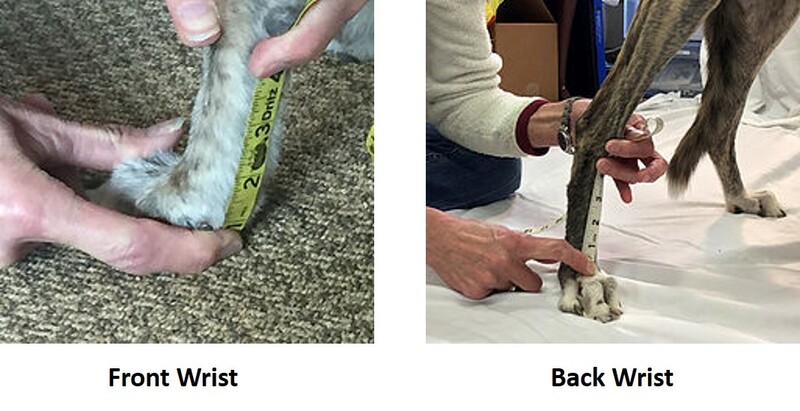 For front paws: measure around the wrist (the midpoint between the paw and the carpal pad or stopper pad). 2. 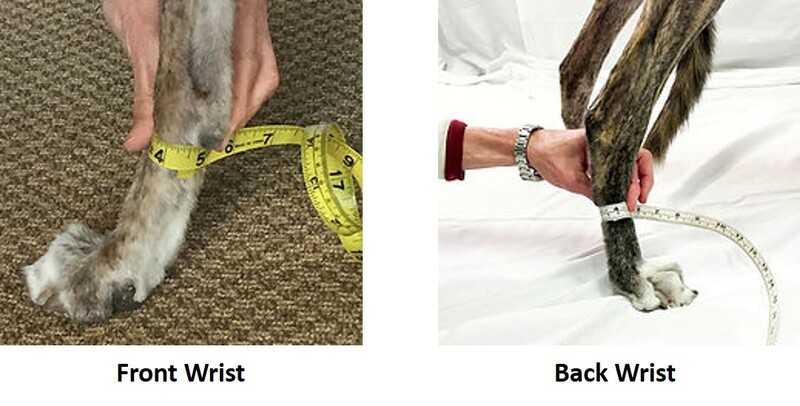 For back paws: measure around the dog's leg between the paw and the ankle joint. STEP 4: Measure the wrist height. 1. For front paws: from behind the pet's paw, measure the distance from the floor to right below the carpal pad (stopper pad located behind the leg at the level of the dew claw and wrist joint). 2. 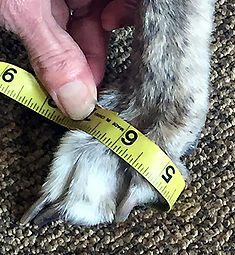 For back paws: measure the distance from the top of the paw to the ankle joint.